The National Mountain Biking Survey needs YOU! Be heard! 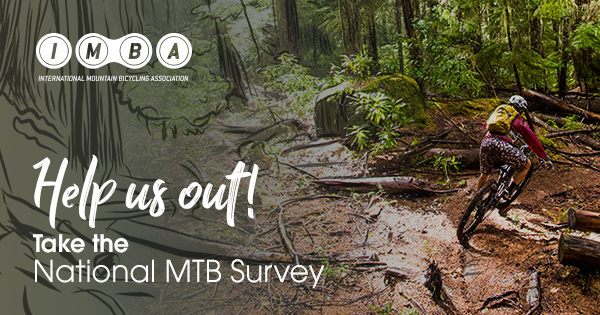 Take the National Mountain Biking Survey between now and Sept. 20 so that your experiences, trail access, and engagement in mountain biking are understood. Your answers are anonymous, even if you enter to win the grand survey prize of a SRAM GX Eagle drivetrain. Please also share it with all of your mountain biking friends, no matter how core or casual they are (18 and up). Results will inform national mountain bike advocacy efforts as well as enlighten anyone working to gain, grow and promote mountain bike access. Thank you!